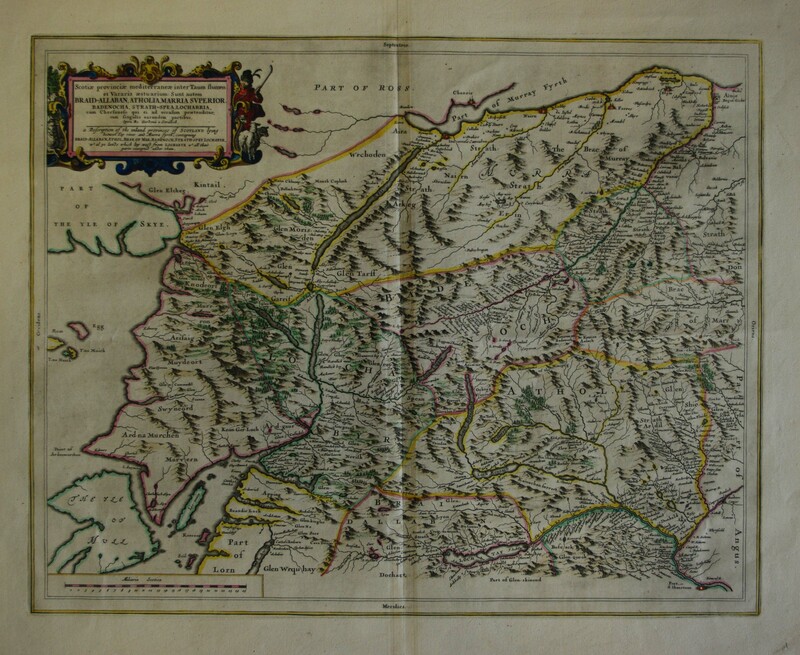 Blaeu's map of Braid-Allaban (central Highlands, Lochaber etc), based on the work of Robert Gordon. This map covers a great deal of central Scotland from Arisaig and Morar in the west to Atholl and Mar in the east, from the Moray Firth in the north to Loch Tay in the south. Dutch text. Condition&colon; 1 Small hole, slight fold mark, coloured, Good condition.